Marvel Studios' "Black Panther" has not only made Marvel history, but Oscars history. During this morning's Academy Awards nominations announcement, the Ryan Coogler-directed film gained seven nominations, including one for Best Picture! "Black Panther" is the first Super Hero film to be nominated in the Best Picture category. Marvel Studios' "Avengers: Infinity War" and Sony's "Spider-Man: Into the Spider-Verse" also received one Academy Awards nomination each. In addition to the Best Picture nomination, the third-highest-grossing movie of all time in the US also nabbed . 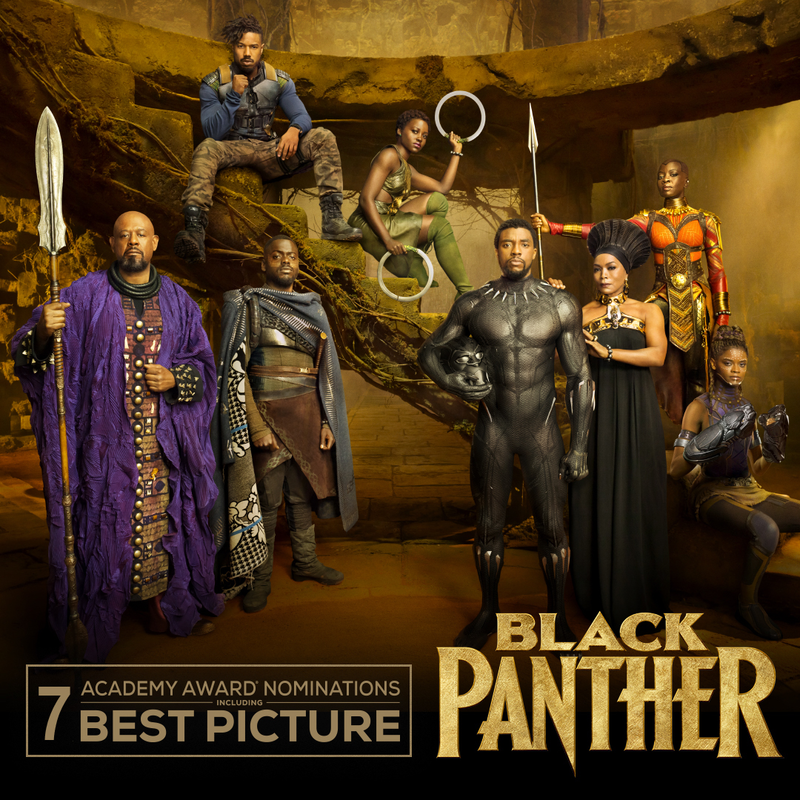 "Black Panther" also nabbed Best Production Design, Best Best Costume Design, Best Original Score, Best Original Song (Kendick Lamar's "All The Stars"), Best Sound Editing, and Best Sound Mixing. Black Panther wasn't the only hero recognized. Marvel Studios' "Avengers: Infinity War" was nominated for Best Visual Effects, while "Spider-Man: Into the Spider-Verse" secured a Best Animated Feature nod. The 91st Annual Academy Awards with air February 24 on ABC.